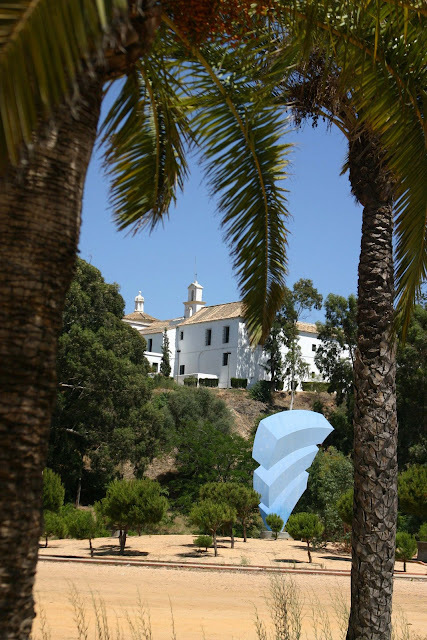 A few years ago, I embarked on an ambitious trip to Spain designed to accomplish several missions: My journey would begin in warm, southern Andalucía on the Atlantic Ocean and end in the cool northern coastal regions of the Cantabrian Sea and along the way I would visit some of Spain’s best cheese-producing regions in Extremadura and Castilla y León and end the trip in the so-called Parque Nacional de Quesos (National Park of Cheeses) in the northern provinces of Asturias and Cantabria. 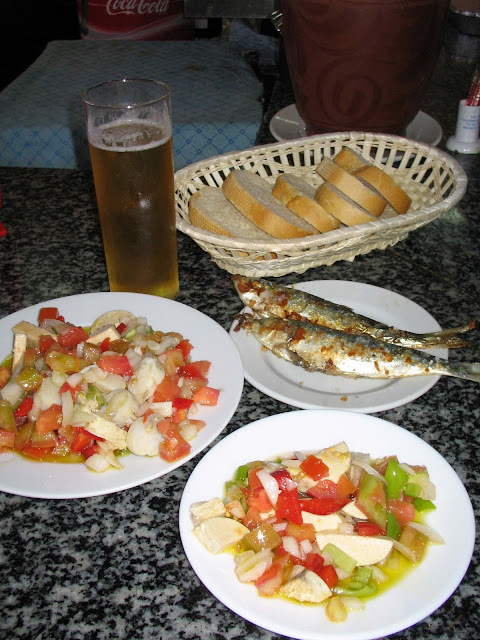 Along the way, I planned to sample Ibérico hams and embutidos (cured meats), which had just been approved for importation into the United States. 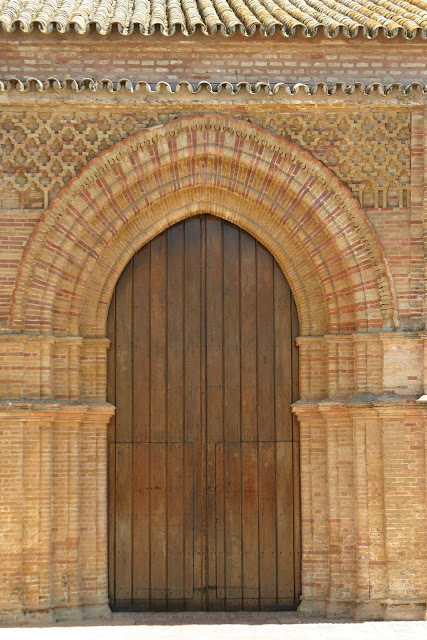 Iglesia de San Jorge with its Moorish doorway, Palos (Huelva), where the edict was read to requisition the ships for Columbus's first voyage. 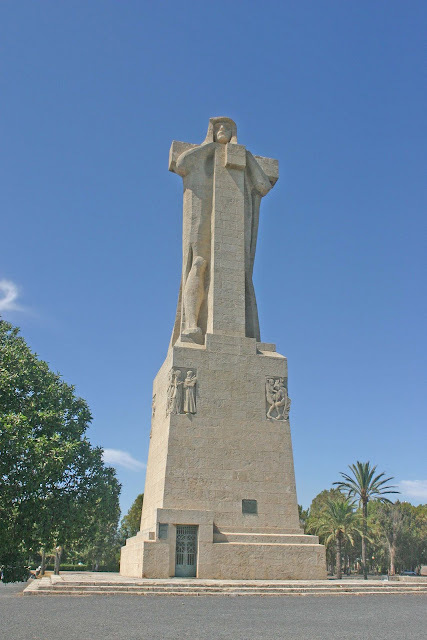 Near Huelva, the provincial capital, at the mouth of the rust red Río Tinto, from which Columbus sailed into the open sea on his way to immortality, stands a huge monument commemorating the discovery of the New World. 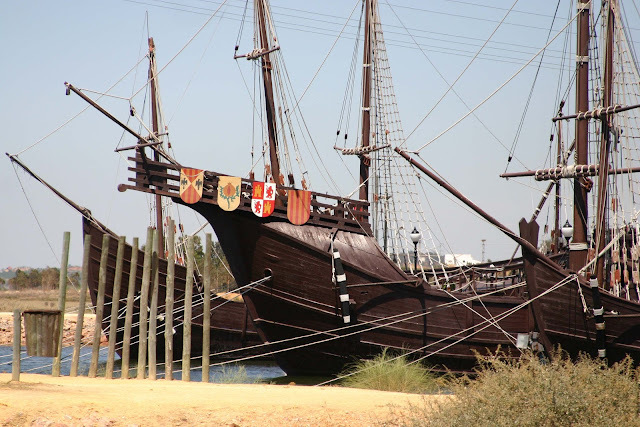 Replicas of Columbus's ships near Palos. 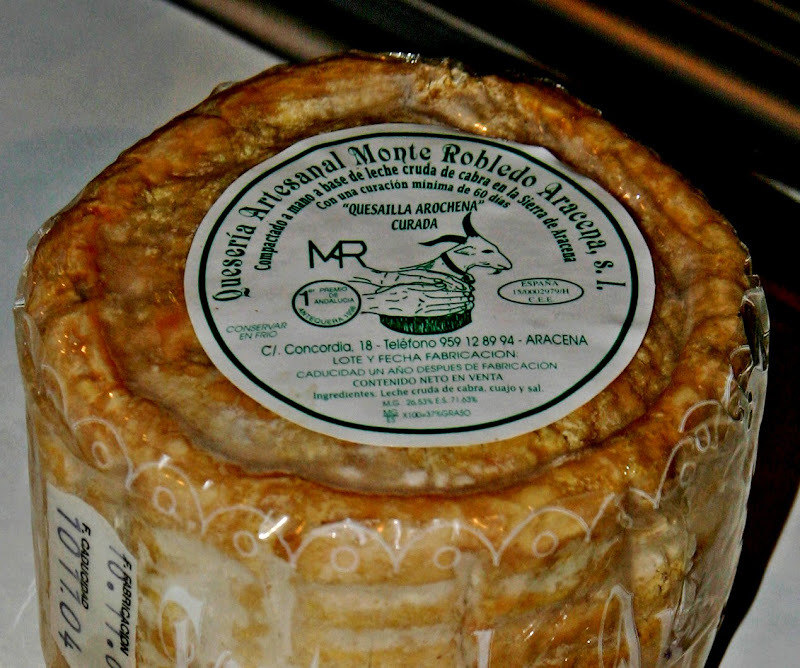 Quesailla Arochena Cuarada, Artisanal raw goats' milk 'torta' cheese from Aracena (Huelva), Andalucía. The following day I drove through stark, hilly terrain to the remote de la Serena region (Badajoz) to seek out the legendary Torta de la Serena. With much the same characteristics as Torta del Casar, this exceptional, expensive cheese is - in springtime and early summer versions - creamy, buttery, and spreadable like Brie, but with more intriguing, rustic flavors. I visited two excellent producers making cheeses from the de la Serena Denominación de Origen Protegida (D.O.P.) A D.O.P. operates under rules similar to those governing wine regions and guarantees the origins and production methods of a cheese. After a restful night, I set out for Cáceres to visit a Torta del Casar producer who came highly recommended by Toño Pérez, chef-owner of Átrio, a Michelin one-star restaurant that serves the best modern cuisine in Extremadura. Just southeast of Cáceres is EXLAJA, a modest, artisan quesería that produces a first-rate Torta del Casar ("Tiana"), a famous non-D.O.P. torta (El Castúo), a flavorful semi-curado and a characterful curado (aged one year). Now a D.O.P. recognized by the EU, Torta del Casar is a raw milk Merino sheep cheese that is also coagulated with wild thistle rennet. Similar in style to the French Vacherin Mont d’Or o Epoisses(both cows' milk cheeses), Torta del Casar can be semi-soft or ripened to the point that it becomes molten and can be scooped out with a piece of crusty country bread. Torta del Casar, which gets its name from its torta-shape (like a Spanish potato omelette, or tortilla), is quite expensive since it takes several sheep (two milkings a day) to get the gallon of milk required just to make a two-pound cheese. Torta del Casar ewe's milk cheese from Extremadura. Coagulated with vegetable rennet made from the milk thistle plant, in accordance with dietary laws that conform to both Jewish and Moorish tenets. The following morning, I headed north to another majestic cathedral, this time a natural one, the mighty Picos de Europa mountains. I had an appointment with Marino González, President of COASA ~ a group of some 40 artisan producers, including González, who is the prime mover behind promoting artisanal food products from the bounteous Asturian cornucopia. Marino led me to Posado de León, a small village in northeastern León province nestled in a valley beneath awesome mountains, which still had pockets of snow in early July. Here the Alonso brothers, Tómas and Javier, make Queso de Valdeón, one of the great blue cheeses of Europe. Made principally with cows milk (sometimes laced with a bit of sheeps and/or goats milk), the cheeses are injected with pencillum mold, aged under humid conditions, then wrapped in sycamore leaves before being sold. Valdeón is a wonderfully smooth and creamy cheese with all the character of a classic blue cheese, without the more aggressive traits of other blue cheeses.